I was recently had the chance to go to The Alchemist Brewery in Waterbury. 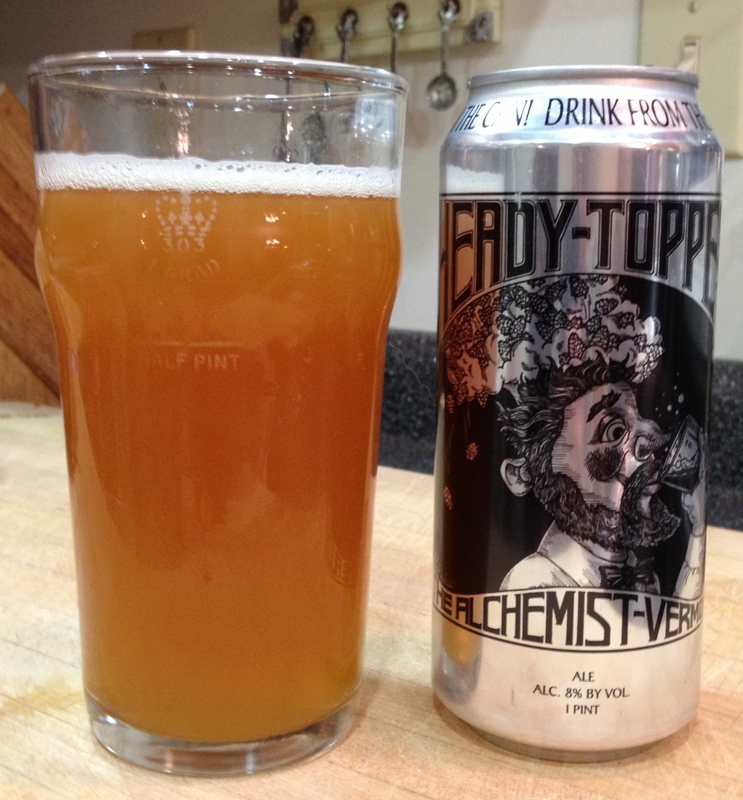 This past summer, I was visiting with family in Vermont, and while I was there, I had Headytopper for the first time. Well, it was a revelation. It changed how I perceived the use of hops in beer, as this was the first time I really “got it” when they talked about all the layers of flavor you can get with your hoping. What also was interesting was to see my wife’s reaction. When she tried it she said, “wow, that is really hoppy, but you can actually drink it.” This from a devoted malt disciple. So, when I went back to Vermont, I was hoping to get my hands on some more, and was successful. Appearance: light orange color, low carbonation, very cloudy, it looks like a German hefeweizen. Aroma: Hops aroma, spicy, herbal, with citrus and tropical fruits (banana, mango), and a low level of pine in the background. Smells very fruity. Taste: Spicy hops at the front, with some fruit coming right after. It has a nice, piney aftertaste. There is also some apple and pear on the back, with a touch of banana. It is a touch tart, quite dry. Pleasing bitterness hangs on and on. Critique: First off, it says to drink it out of the can on the can, and well, outside of it being hard to appreciate the nose, it may be good advice. This is just an ugly beer. Murky and cloudy, it kinda looks like very fresh homebrew before the yeast has dropped, which is probably pretty close to what it is. However, once you get past that, you got a real gem. Just layer on layer of hoppiness, from the nose to the tongue to the back of the palate. It is more then your typical citrusy/piney hops though. There is more depth here, with woody and herbal flavors, and some apple flavors as well. I get an initial sweetness when it first hits the tongue, but there is a bracing bitterness and dryness to the beer. Subtle it is not, balanced it is not, but damn tasty it is. It it interesting in I had this beer right after the Cant Dog from Marshall’s Wharf. This beer is more spicy and herbal on the nose, the citrus and fruit flavors are more on the back, as is the pine. It is actually more bitter as well then the Cant Dog, which maybe related to the slight tartness I get from this beer. The Cant dog was far more carbonated, so I don’t think it was the bite from the carbonation, but there was much more yeast in this I think, so that may have been it. I also believe there are some esters from the yeast, as the apple/pear flavors I don’t usually get from hops, but I do from English yeasts, and this strain is an English strain. This is the best Double IPA I have ever had, but I have not had any West Coast DIPA’s such as Pliny the Elder. It is really easy to drink, which at 8%, is a scary thing. Seek it out if you can, it is worth it if you like big, over the top IPA’s.